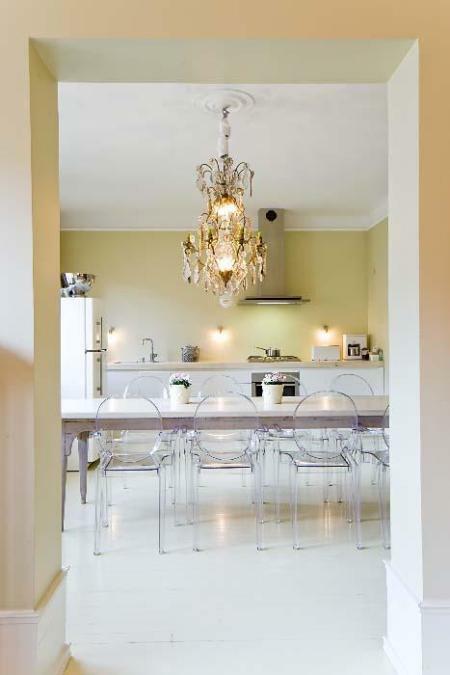 My love for the transparent Louis Ghost Chair, designed by Philippe Starck for Kartell, is no secret. Earlier this week, I was asked about the versatility of the chair so, of course, I shared my thoughts happily. As a follow up to that discussion, I give you this post. 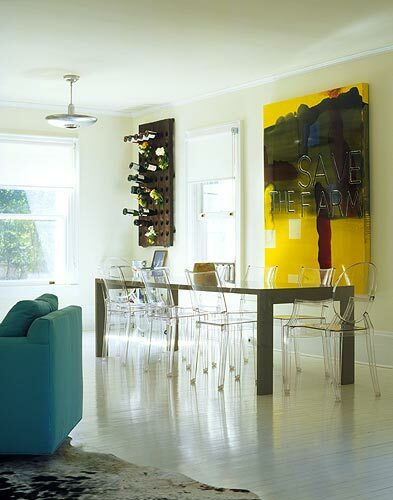 I love that its translucency gives the traditional chair a modern edge. I love how becomes invisible in the room but yet makes a statement. 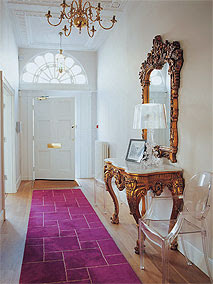 I love how it seamlessly blends with any decor style and can used in any room. Are you getting the picture of how much I love it? Fortunately, today you have options… you can either make the investment and buy original,via DWR or Gabriel Ross and many others, however, if the $410+ price tag isn’t in your budget you can opt for a reproduction, via Wire Home Furnishing (of course), for a mere $199. So here you are, my tribute to the Louis Ghost Chair. Enjoy & Happy Weekend! The originals come in a variety of transparent colours or black & white in a matte finish. 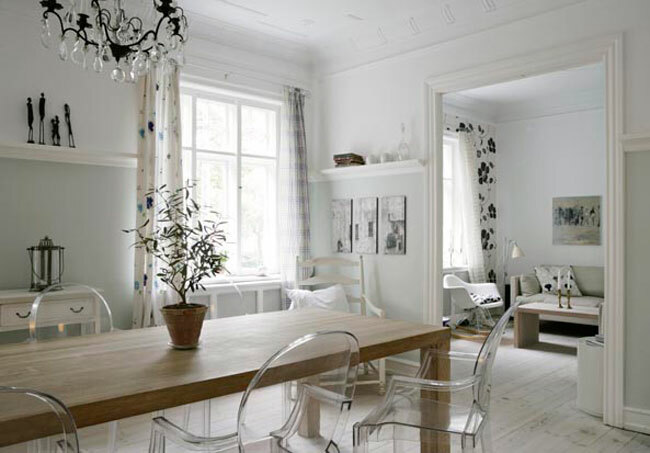 I love how it blends in with this room. 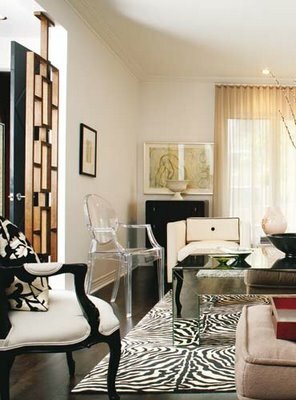 Here Louis is in company with La Marie transparent chairs... very nice! To me this is a 'pretty' room. Can you see the ghost chairs in these last two pictures? Fun! What do you think?... are you in love? Photo credits; Kartell, Desire to Inspire, Flickr, Decorology, houzz, cococozy. Style at Home October Issue - Must Have! 3 - 2 - 1 blastoff ! ! !